Shôko branch out into the art world with summer series Shôko Art. The event concept sees Shôko’s ample space, designed in accordance with the principles of Feng Shui, play host to a series of pop-up exhibitions featuring local and international artists. 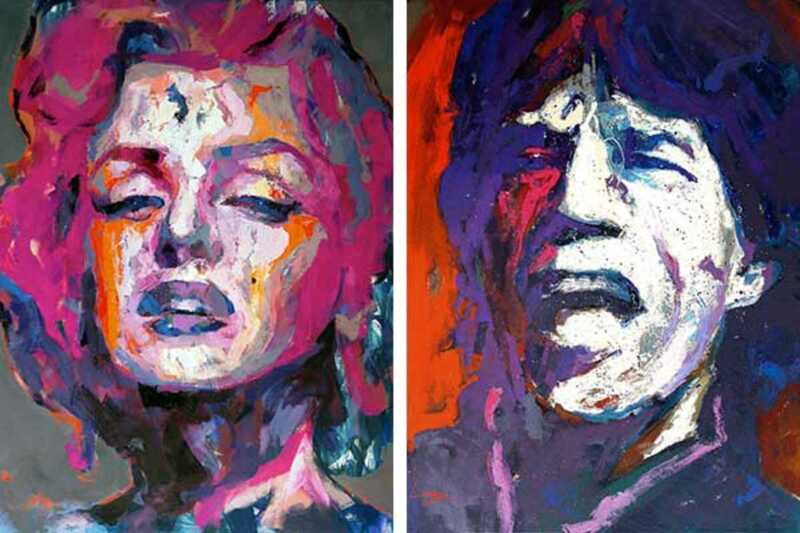 Tonight they welcome Spanish artist Alberto Ramírez, a painter who specializes in creating large-scale portraits of famous people such as Woody Allen, Messi, Charlie Chaplin, Clint Eastwood and Bruce Springsteen. The artist, born in Madrid and currently based in Berlin, participated in a show last year in New York that included pop art pieces by heavy hitters Andy Warhol, Basquiat, Mr. Brainwash and Bob Dylan (he paints too). Stop by tonight from 5pm to 8pm for free hors d’oeuvres and mini gin & tonics courtesy of Dutch premium gin brand Voortrekker.